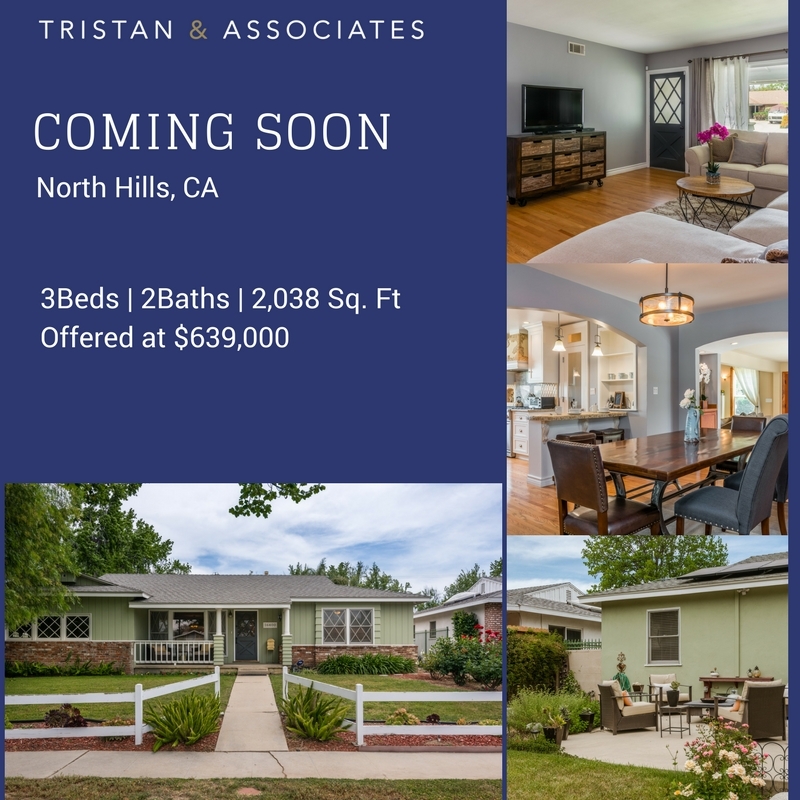 Curb appeal is here with this beautiful mid century traditional home located on one of the best streets in "North Hills West". The open and flowing floor plan offers hardwood floors throughout and new porcelain floors in the baths. The home offers 3 large bedrooms and 2 baths with a huge park like backyard with room enough for a pool. Amazing remodeled one of a kind cooks kitchen with walk-in pantry and built-in china cabinet. The counter tops are granite with custom back splash, custom cabinets with pull out drawers, 36' stainless steel Kitchenaid Pro Series six burner oven, a dual drawer stainless dishwasher, and custom breakfast counter. The family room has it all with a wood burning fireplace, 200 bottle wine/beverage refrigerator, recessed lights, ceiling fan, entertainers granite top bar and french doors lending to the patio area. Both baths have been redone within the past year: one has floor to ceiling custom tiled shower, sink, cabinet and faucet. The other boasts a claw foot bathtub, double sinks, marble counter, custom cabinets, automatic lights and wainscoting. Professional landscaping was completed in the front and backyard with a soothing fountain and relaxing fire pit area. More extras include main plumbing line recently replaced, cooper plumbing, upgraded electrical panel & 9 year old comp roof. The home was also recently painted on the inside waiting for you!! Based on information from CARETS as of 4/18/2019 7:44 PM CST. The information being provided by CARETS is for the visitor's personal, noncommercial use and may not be used for any purpose other than to identify prospective properties visitor may be interested in purchasing. The data contained herein is copyrighted by CARETS, CLAW, CRISNet MLS, i-Tech MLS, PSRMLS and/or VCRDS and is protected by all applicable copyright laws. Any dissemination of this information is in violation of copyright laws and is strictly prohibited. Any property information referenced on this web site comes from the Internet Data Exchange (IDX) program of CARETS. This web site may reference real estate listing(s) held by a brokerage firm other than the broker and/or agent who owns this web site. The accuracy of all information, regardless of source, is deemed reliable but not guaranteed and should be personally verified through personal inspection by and/or with the appropriate professionals. IDX by Commissions Inc.